Downtown Eau Claire, Inc. (DECI) and the South Barstow Business Improvement District unveiled their master plan for one section of downtown on May 3, expanding on and connecting various plans that have been brewing for some time. The two groups invested more than $20,000 to conduct interviews and research, and to create the plan’s visuals and narrative. The Master Plan, which was assembled by Ayres Associates and their strategic partners, is basically a wish list of suggestions that are a) awesome and b) plausible for downtown, as determined by those involved. 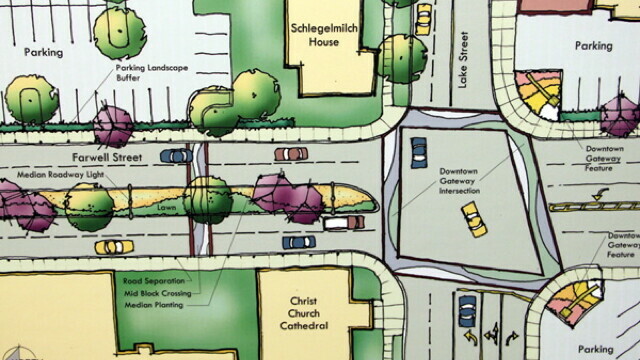 Many ideas suggested by the public throughout the process, and even some ideas whose public discussion was kicked off with Volume One’s “Reinventing our Streets” issue in May of 2010, are evident in the new plan. In one of the cooler (and newer) ideas, the group suggested making W. Grand Ave pedestrian only from a half block East of Barstow to the footbridge. But this isn't your run of the mill pedestrian mall, it would be a retail and entertainment complex they call 'Live on Grand'. The idea – which is based on many others around the country – would be to create a outdoor area (with an optional/occasional tent cover) that could be a destination for events, music, etc. 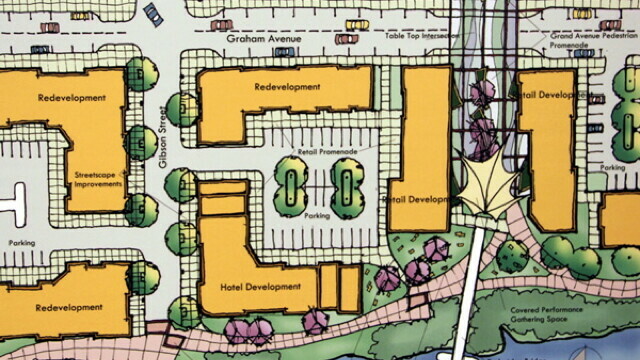 As has been suggested before, Ayres pushed that Graham Avenue needs quite a bit of redevelopment. While some of that seems to be in the works (see the previous page), suggestions came for commercial and residential buildings that interacted well with the river. 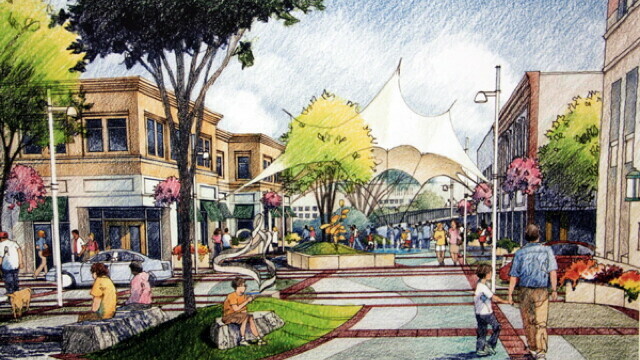 In the illustrations, they proposed some options for private developers who might be interested in capitalizing on some of the other new attractions in the downtown. 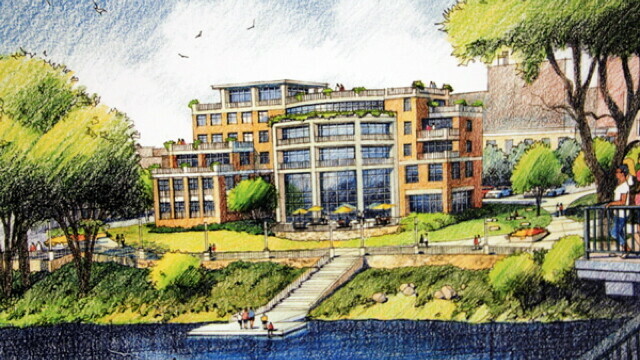 One aspect of the plan was exploring options and suggestions for future development, one of which would be a boutique hotel (above) on Graham Ave., facing the river. Another suggestion brought up was turning the current Eau Claire Area School District Administration building into low-cost apartments or condos. Finally, the idea of a large event center and/or convention center finding its way somewhere downtown was highly suggested, though not drawn into any plans this time around.